Inspiration by LeeAnne Locken: Take the POSITIVITY PLEDGE today! 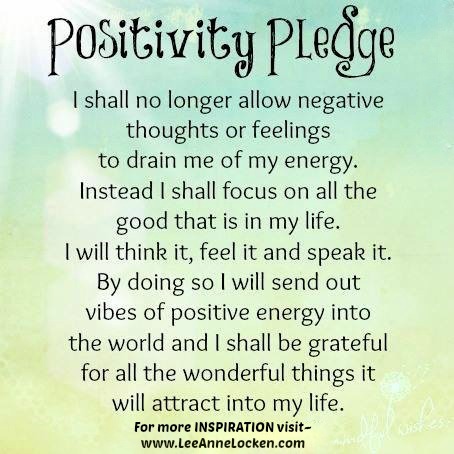 Take the POSITIVITY PLEDGE today! what is it you WANT! that we make it happen! nd LIFE will get BETTER! !